Kelly M. Barnhart was selected and listed as a Virginia "Super Lawyer" (Bankruptcy) for 2018 and 2019. Robert V . Roussos and Kelly M. Barnhart have been selected and listed as members of Virginia's "Legal Elite" (Bankruptcy/Creditors' Rights) for 2017 & 2018. Effective, January 1, 2019 our new firm name is ROUSSOS & BARNHART, P.L.C. and we have moved to 500 E. Plume Street, Ste. 503, Norfolk, VA 23510. Kelly M. Barnhart was selected and listed as a Virginia "Super Lawyer" (Bankruptcy) for 2017. Robert V . Roussos and Kelly M. Barnhart have been selected and listed as members of Virginia's "Legal Elite" (Bankruptcy/Creditors' Rights) for 2016. Kelly M. Barnhart was also selected and listed as a Virginia "Super Lawyer" (Bankruptcy) for 2016. Roussos & Barnhart, P.L.C. won "The Shenandoah Apple Award" , a Statewide Competition sponsored by the Foodbank of Southeastern Virginia, for Small Firm category and won the local award for 1st Place Small Law Firm category in the Legal Food Frenzy competition. Robert V . Roussos and Kelly M. Barnhart have been selected and listed as members of Virginia's "Legal Elite" (Bankruptcy/Creditors' Rights) for 2015. Kelly M. Barnhart was also selected and listed as a Virginia "Super Lawyer" (Bankruptcy) for 2015. Roussos & Barnhart, P.L.C. recently won "The Shenandoah Apple Award" , a Statewide Competition sponsored by the Foodbank of Southeastern Virginia, for Small Firm – Per Capita (2,588 total pounds), in the Legal Food Frenzy competition. Robert V . Roussos and Kelly M. Barnhart have been selected and listed as members of Virginia's "Legal Elite" (Bankruptcy/Creditors' Rights) for 2014. 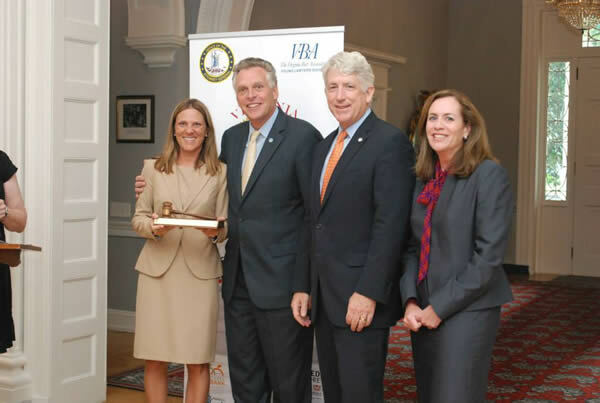 Kelly M. Barnhart was also selected and listed as a Virginia "Super Lawyer" (Bankruptcy) for 2014. Roussos & Barnhart, P.L.C. recently won "The Brunswick Stew Award" , a Statewide Competition for Small Firms - Most Total Pounds (20,600 total pounds), in the Legal Food Frenzy competition. Robert V. Roussos has been selected as a Legal Elite by the Virginia Business Magazine. Robert V. Roussos will be presenting at the Virginia Beach Bar Association Bench Bar Conference at the Virginia Beach Convention Center on March 13, 2013.